Time for Fascination of Plants Day 2019! PlantLink > Events > Time for Fascination of Plants Day 2019! Welcome to the fifth Fascination of Plants Day! 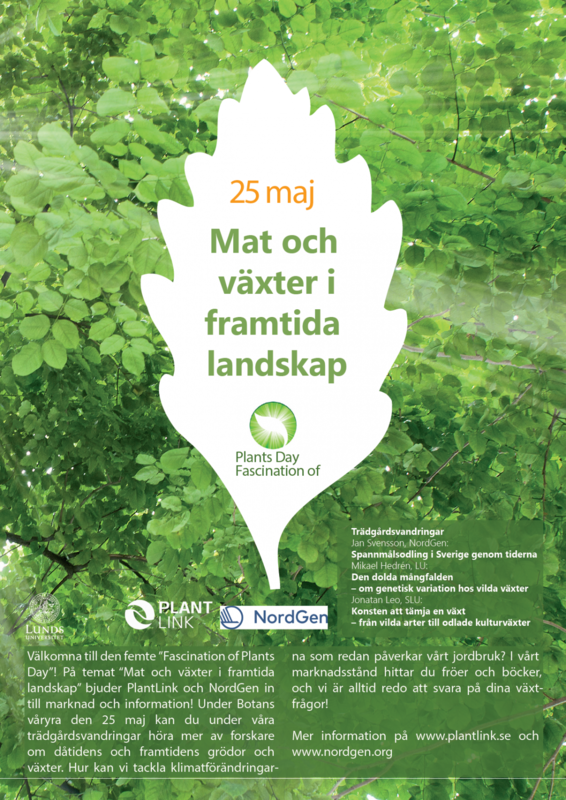 On the theme “Food and plants in future landscapes” PlantLink and NordGen invite you to Lund Botanical Gardens on the on May 25 as part of their “spring madness”. Take part of our garden walks and hear more from researchers about the past and future crops and plants. How can we for example with the help of plants tackle climate change that already today affects agriculture? In our market stall you will find seeds and books, and we are always ready to answer your plant questions!